Naked? Not at all! Wearing atleast 250 prims! All these prims together make fantastic glasses, or maybe I better say jewelry. 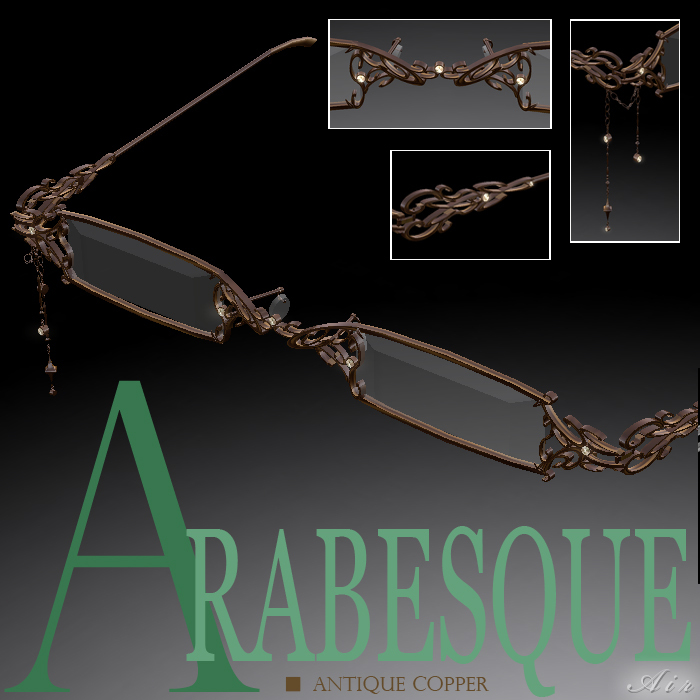 Aslan Kish, the eye-wear designer of Air, designed a lot of masterpieces. His latest release is AIR_ANGELA, all the tiny prims together are waving a net to create very dedicated reading glasses. Between the metal parts you will find small scripted gems, which you can change by using the script menu. Also the metal can be changed with this menu. 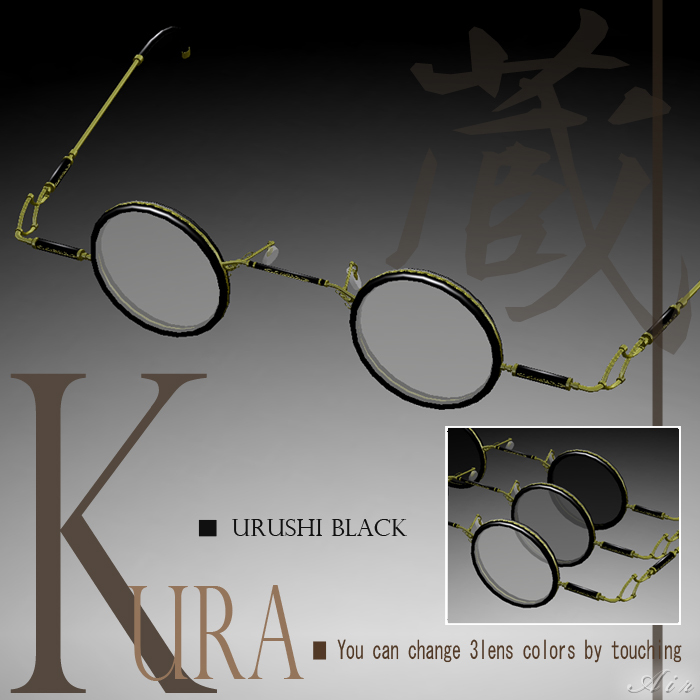 This feature gives you many options to modify your glasses. In the picture I have chosen for diamonds in copper-gold. 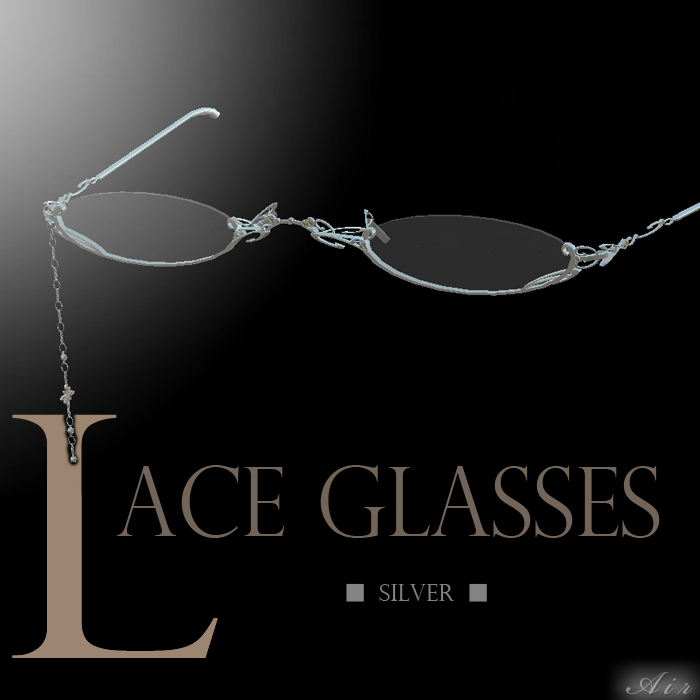 The frame has an optional side dangle, which can be connected to the right or left side of the frame. Go visit AIR and be amazed about the work of Aslan Kish!